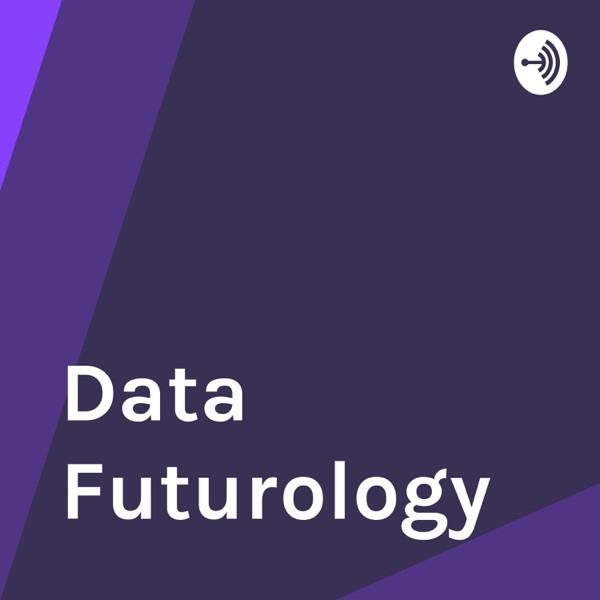 Data Futurology - Data Science, Machine Learning & Artificial Intelligence From Top Industry Leaders | Listen Free on Castbox. Data Futurology is data from a human lens. In Data Futurology, experienced Data Science Leaders from around the world tell us their stories, challenges and the lessons learned throughout their career. - How to become a great data science leader? 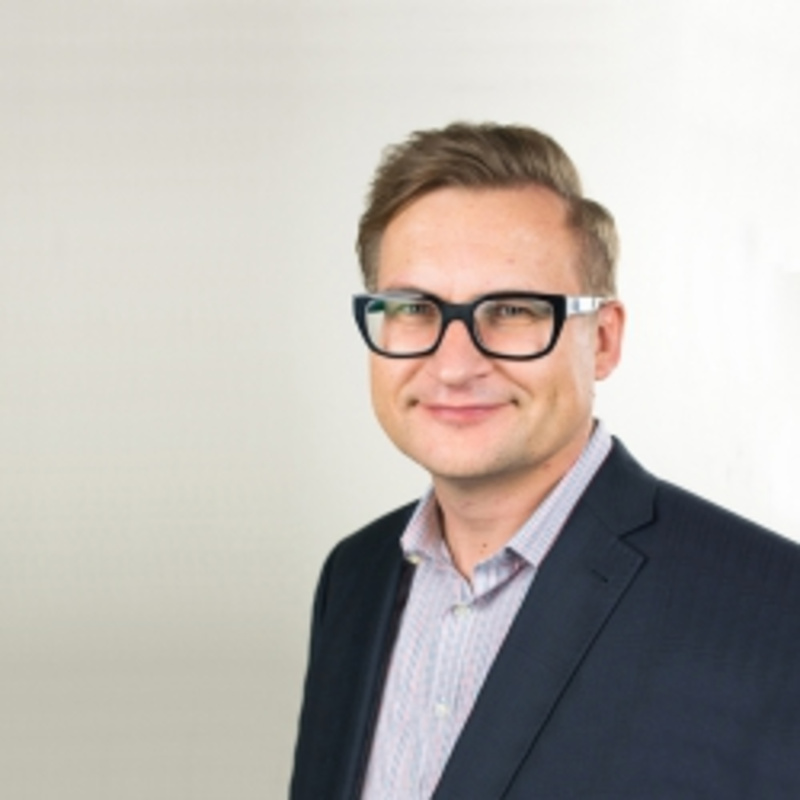 Marek Rucinski is the Deputy Commisioner leading the Smarter Data Program at the Australian Taxation Office (ATO). Marek has taken part and driven the evolution and transformation of Marketing, Analytics, Data and Digital capabilities for over 20 years. This has been done in both industry roles and consulting services capacity, across Australian, Asian and Global clients, across Retail, Telco, Consumer Goods, Financial Services, Mining & Utilities sectors. His passion centers on helping clients change the role of Marketing & Analytics capabilities in Digital and Data age, from activating the capability through acting on insights, to transforming customer experience and the whole business via delivering value across business functions. Prior to ATO & Accenture, Marek lead and created analytics functions and teams in a Retail industry, and developed global corporate strategy frameworks and analytics in a multinational organizations.In this episode, Marek tells us about how he was always interested in the science behind marketing. Marketing as a discipline has been completely transformed due to the emergence of data as a driver for engagement with the customer. Marek is not a classically trained data scientist; he is a data strategist and can dive deep into the organization’s needs in order to drive value to the customer. Marek tells us how some businesses can struggle with how to handle the findings of research from data scientists. It is essential to translate the potential into targets to create the prize. Leave the ego at the door and find the ability to be critiqued. Later, Marek tells us how educating businesses on analytics as a mechanical process is essential for them to perceive how the whole thing works. He then explains his transition from consulting to government and how his excitement lies in the play with analytics at an enormous scale. Then, Marek describes how to have each section of the value chain working with purpose and precision. Data has to be trusted, organized, and accessible for the company. A data strategist must consider how the data is being delivered to their client. You want to create products and interactive experiences for the business as opposed to simple spreadsheets. Finally, Marek answers the audience’s questions including what makes a good data scientist and current challenges in the data science industry. Resources:Marek’s LinkedIn: https://www.linkedin.com/in/rucinskimarek/Now you can support Data Futurology on Patreon! https://www.patreon.com/datafuturology Thank you to our sponsors: UNSW Master of Data Science Online: studyonline.unsw.edu.au Datasource Services: datasourceservices.com.au or email Will Howard on will@datasourceservices.com.au Fyrebox - Make Your Own Quiz!And as always, we appreciate your Reviews, Follows, Likes, Shares and Ratings. Thank you so much for listening. Enjoy the show! Jonny Bentwood is the Global Head of Data & Analytics at Golin. 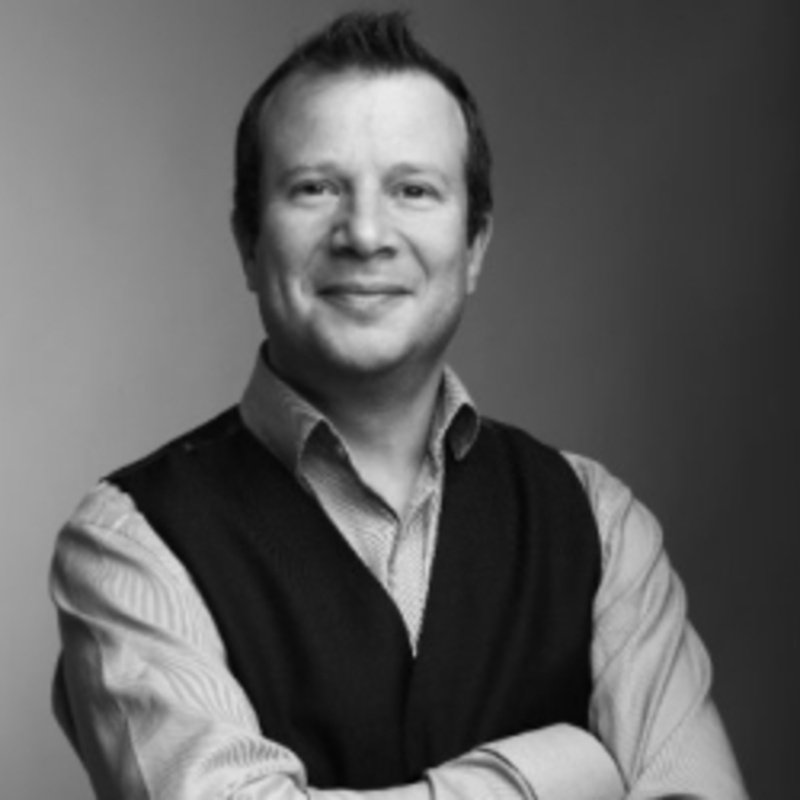 Jonny is an innovative leader with 15+ years of experience in communications - winning, retaining and working for Fortune 100 clients such as Facebook, Unilever, Heineken, Barclays, HP and Microsoft. He has a proven record as a creator of pioneering solutions with ability to transform business to radically impact bottom line. Jonny presents complex information in an engaging and informative style and is a strategic consultant to executives using data to provide guidance on reputational and crisis issues and maximising marketing campaigns. In this episode, Jonny tells a story about how MTV got in touch with him to apply data in figuring out who would most likely win The Apprentice. After being in the industry for over twenty years, he believes this is the best time to be in data. CMOS are spending more of their money than ever before on analytics. How do data scientist prove their value? People use data purely in a descriptive way. To succeed and bring value to clients, one needs to switch from describing the data to telling the customer what they need to do with the data. Set the goals of who, what, and why to figure out which message will be most useful before you even start. Take it a step further by using prescriptive data and make it predictive. This is where you study what will happen in the future. We are continually absorbing and understanding what things could happen and will happen. This opportunity is essential to identify issues before they occur and fix them.We speak about:[01:30] How Jonny started in the data space [04:50] Public relations[06:00] Descriptive, prescriptive, and predictive [08:15] Difference between interesting and useful[10:00] Understanding the customer[15:25] Cultural shift of data in organizations [19:10] Challenging the status quo [22:40] Shiny object syndrome [26:45] The twenty percent time[30:00] Bringing data application to the masses[34:30] Each stage of the customer journey [39:30] Getting value for money[42:45] Return on investment [44:15] Data + creativity Resources:Jonny’s LinkedIn: https://uk.linkedin.com/in/jonnybentwoodJonny’s Twitter https://twitter.com/jonnybentwood?lang=enNow you can support Data Futurology on Patreon! https://www.patreon.com/datafuturology Thank you to our sponsors: UNSW Master of Data Science Online: studyonline.unsw.edu.au Datasource Services: datasourceservices.com.au or email Will Howard on will@datasourceservices.com.au Fyrebox - Make Your Own Quiz!And as always, we appreciate your Reviews, Follows, Likes, Shares and Ratings. Thank you so much for listening. Enjoy the show! 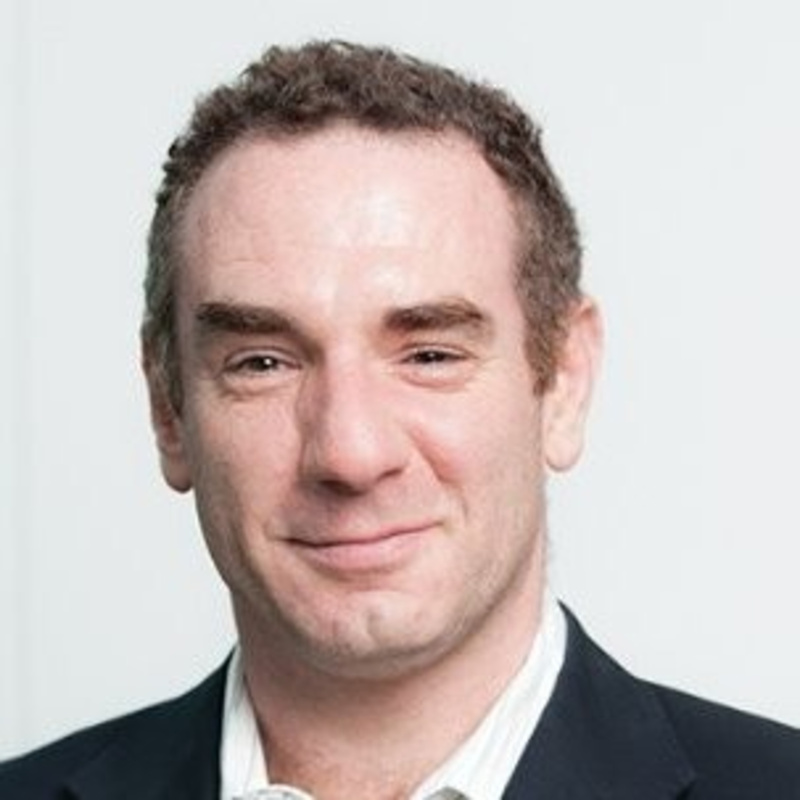 Warwick Graco is the Senior Director of Data Science at the Australian Taxation Office (ATO). He has worked in defence, health, and taxation and has been involved in analytics for 25 years. 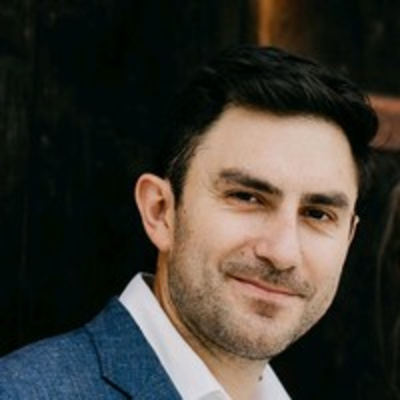 He is a practicing analytics professional and is currently convenor of the Whole of Government Data Analytics Centre of Excellence and is a senior data scientist in Data Science and Special Acquisition Group of the Smarter Data Program of the ATO. 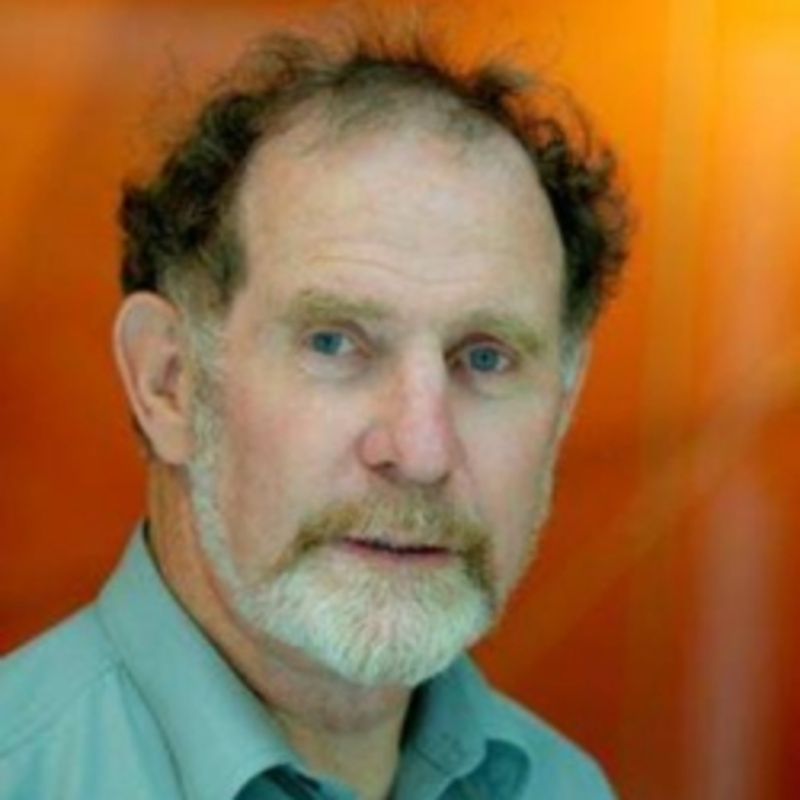 He has a BSc from the University of New South Wales and a Ph.D. from the University of New England Australia. His professional interests include organisational innovation and learning, organisational decision making and analytics.In this episode, Warwick tells us how he got started in data research the skills gained that led him to his successes today. Warwick explains why transparency is a business requirement for software and tools in the data science field. People with more analytical backgrounds will be more willing to accept an opaque solution over a transparent solution. When analytics was in the early stages, some organisations pushed back from data science; feeling they were on top of their portfolio and did not need any outside resources. No matter what results Warwick would come up with for these organisations, they would continue to have the same attitudes. Since 2010, there has been a shift in attitudes because data science has shifted from the background to the foreground.Then, Warwick tells us the difference between good support and lousy support in the workplace. While Warwick was working with organisations, instead of providing results, he did the reverse. Ask the organisation what they want rather than telling them the findings. Providing the outputs clients wish to see led to incremental improvements built into their business intelligence reports. Warwick also explains why you can no longer be a data scientist; you will need to learn and master the domain of your work. For instance, Warwick learned everything about ophthalmology while working on data science with an ophthalmologist. Later, Warwick explains his process of publishing research, improving privacy concerns, and automated supports.Enjoy the show!Show Notes:• [02:20] How Warwick started in data science• [05:55] Aptitude for research• [08:40] Purpose-built software + decision trees• [12:20] Accepting opaque solutions vs. transparent solutions• [16:45] Pushback of data analytics• [21:15] Difference between good support and bad support on the job• [25:25] Necessity to learn the domain first• [29:00] How to learn on the job• [32:20] Process of publishing research• [41:50] Improving legal and privacy concerns• [44:25] Automated support + decision-making operations• [52:40] Developing an analytical + practical mindset• [58:10] Hyperspecialized• [64:30] Moving toward data + analytics as a service• [66:25] Advice from WarwickNow you can support Data Futurology on Patreon! https://www.patreon.com/datafuturology Thank you to our sponsors: UNSW Master of Data Science Online: studyonline.unsw.edu.au Datasource Services: datasourceservices.com.au or email Will Howard on will@datasourceservices.com.au Fyrebox - Make Your Own Quiz!And as always, we appreciate your Reviews, Follows, Likes, Shares and Ratings. Thank you so much for listening. Enjoy the show! 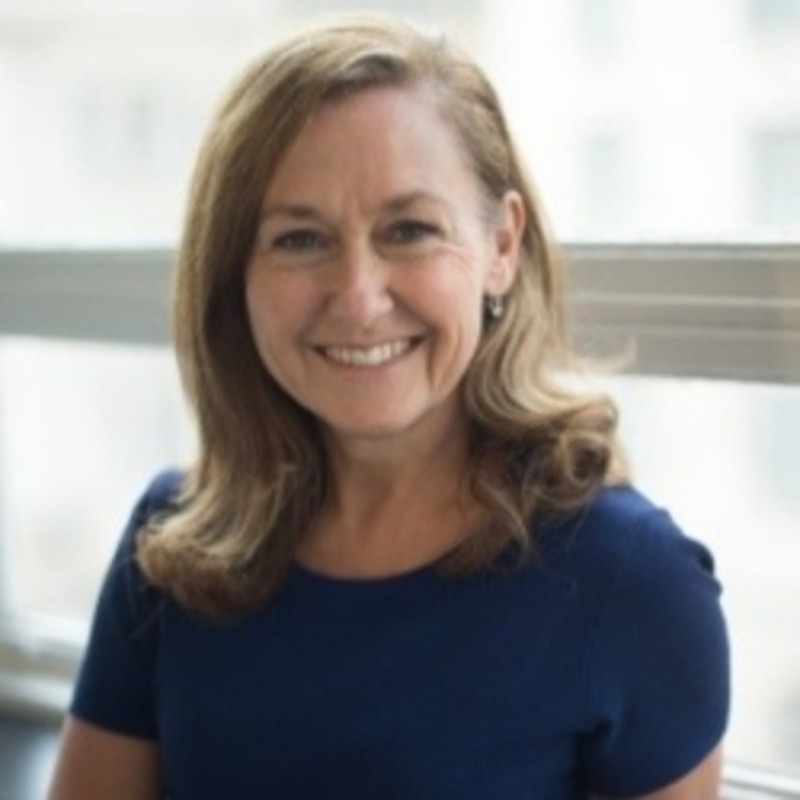 Caroline Worboys is a data expert, investor, advisor, COO at Outra & Vice Chair at DMA Group. She has been working in the data industry for over 30 years. In this time, she’s had a fascinating journey. She has worked, created, mentored and consulted through many data driven organisations. She’s played all the different roles: technical lead, a business lead, a founder and investor.While Caroline doesn’t describe herself as a data scientist and didn’t go to university, she has always worked with data and has a wealth of experience. She started in the field by working with consumer data for direct marketing and progressed to the point where she founded and sold several successful data related start-ups. Currently, she is the founder and COO of Outra.In this episode, we talk about what it was like being a woman in technology in the 80’s, how the use of data has progressed over the years and how she keeps her team focused on the goal of doing things faster than other companies.SummaryHow Caroline got started in data (03:02)What she learnt from observing senior colleagues and what it was like being a woman in technology in the 80s (05:38)Using customer data in order to target people at the right time (07:46)The principles of working with consumer data hasn’t changed (10:04)How the care and attention required for direct mail has now been lost with email and digital marketing (11:09)The importance of being curious and learning (12:31)Starting her own business and finding a different way to charge customers (13:46)Advice for young people and why it’s important to seek people for advice (21:34)Personal drivers to start her business (23:35)How her business innovated as technology changed (25:10)The challenge of using data to actually solve problems (30:29)Considerations when choosing her team (35:48)The recruitment process is like for Caroline’s company (39:00)How Caroline keeps her team focused on the goal of doing things faster than other companies (41:40)The difficulties of work/ life balance (44:16)Considerations for being a leader in the data space (47:03)The importance of thinking about the type of data you want to work with (51:43)Quotes“Seek out people who have really, honestly read the book and seen the movie and been there. Because they can stop you from going down a whole bunch of dead ends.”“You can’t scale and have thousands of relationships with thousands of people. But you can create a culture, and processes below that culture, that are scalable.”Now you can support Data Futurology on Patreon! https://www.patreon.com/datafuturology Thank you to our sponsors: UNSW Master of Data Science Online: studyonline.unsw.edu.au Datasource Services: datasourceservices.com.au or email Will Howard on will@datasourceservices.com.au Fyrebox - Make Your Own Quiz!And as always, we appreciate your Reviews, Follows, Likes, Shares and Ratings. Thank you so much for listening. Enjoy the show! Kevin Harrison is working as Chief Data Officer and Deputy Chief Information Officer for the City of Oakland in California. Prior to this he worked as the first ever Chief Data Officer for the State of Illinois. During that time he designed the blueprint for the State Data Practice. Operating under the new Department of Innovation and Technology agency, he implemented an enterprise approach to Business Intelligence and Data Analytics, covering all 60 State Agencies to create a collaborative and sharing environment across the state.Having worked with multiple organisations, Kevin has been able to handle different types of challenges in our industry. In today’s episode, Kevin shares the strategies he applied to move from smaller projects to bigger ones. How he has been able to help organisations increase their market share and improve operations. Kevin also shares why he thinks changing the perception of organisations about data and educating them about tools in the space is so important. He further talks about data governance and possible changes in role of the data scientist role in future. In This Episode:01:55 Professional background of Kevin06:30 Why data is important?07:20 Evolution of Data warehousing10:00 How organizations are utilizing the data?11:39 As data officer, how to help organizations to improve their data capabilities?13:00 Building trust is crucial for project success13:30 Transition from small to bigger project16:12 Challenges faced as data consultant19:00 Educating about the change coming to data science21:00 Process of data strategy for organizations23:50 Why so many data warehousing failed?26:00 Importance of data governance27:10 Biggest problem in data governance31:56 Role of data storage35:15 Challenges faced from moving to another industry/sector38:42 Qualities data scientist should have41:43 Future of data science42:30 Advice to the listenersNow you can support Data Futurology on Patreon! https://www.patreon.com/datafuturology Thank you to our sponsors: UNSW Master of Data Science Online: studyonline.unsw.edu.au Datasource Services: datasourceservices.com.au or email Will Howard on will@datasourceservices.com.au Fyrebox - Make Your Own Quiz!And as always, we appreciate your Reviews, Follows, Likes, Shares and Ratings. Thank you so much for listening. Enjoy the show! Mike serves as Head of Data Science at Uber ATG and lecturer for UC Berkeley iSchool Data Science master’s program. Mike has led several teams of Data Scientists in the bay area as Chief Data Scientist for InterTrust and Takt, Director of Data Sciences for MetaScale, and Chief Science Officer for Galvanize he oversaw all data science product development and created the MS in Data Science program in partnership with UNH. Mike began his career in academia serving as a mathematics teaching fellow for Columbia University and graduate student at the University of Pittsburgh. His early research focused on developing the epsilon-anchor methodology for resolving both an inconsistency he highlighted in the dynamics of Einstein’s general relativity theory and the convergence of “large N” Monte Carlo simulations in Statistical Mechanics’ universality models of criticality phenomena.In this episode, Michael talks about how he accidentally got into data and his work with simulation. Then, Michael discusses his background in data science product development and data science education. He reveals all the mistakes he made with his transition from academics to industry. Later, Michael tells us what attracted him to data science education and how he balances industry projects with his teachings. Rapid growth is a challenge with technology management because your skillset will get rusty as the technology advances. Lastly, Michael talks fake news, bootstrapping, and Fake or Fact. In This Episode:[00:20] Michael accidentally got into data[02:15] About Michael Tamir[03:40] Transition to industry[06:40] Software engineering challenges [08:45] Data Science Education [15:15] Adaptive learning [17:15] Team management[19:05] Challenges with rapid growth[24:25] Fake news[27:25] Toughest challenge[28:50] Fake or Fact[31:20] Listener questionsMike's quotes from the episode:“You have to be really careful about what you do and what you do not teach in order to make sure students are successful in the long-term.”“Decisions are going to be best made by those who are closest to the ground.”“You’re not going to be the expert in every group you are managing.”“I take full responsibility for any failures with the algorithm.”“Most of my time is spent on my day job.” “Find out what you enjoy about data science skills; find the role that is looking for those skills.”“I enjoy the science and making sure we are asking the questions in a scientifically sound way.”Connect:Twitter - https://twitter.com/MikeTamirLinkedIn – https://www.linkedin.com/in/miketamir/Website - http://www.fakeorfact.orgNow you can support Data Futurology on Patreon! https://www.patreon.com/datafuturology Thank you to our sponsors: UNSW Master of Data Science Online: studyonline.unsw.edu.au Datasource Services: datasourceservices.com.au or email Will Howard on will@datasourceservices.com.au Fyrebox - Make Your Own Quiz!And as always, we appreciate your Reviews, Follows, Likes, Shares and Ratings. Thank you so much for listening. Enjoy the show! David Niemi is Vice President of Measurement and Evaluation at Kaplan, Inc., where he oversees efforts to improve the quality of measurement across all education units, evaluate the effectiveness of curricula and instruction, and study the impact of innovative products and strategies.Previously he was Vice President Evaluation and Research, at K12 Inc., where he directed assessment development and validation, evaluation of products and services, and research studies used to drive curriculum development. 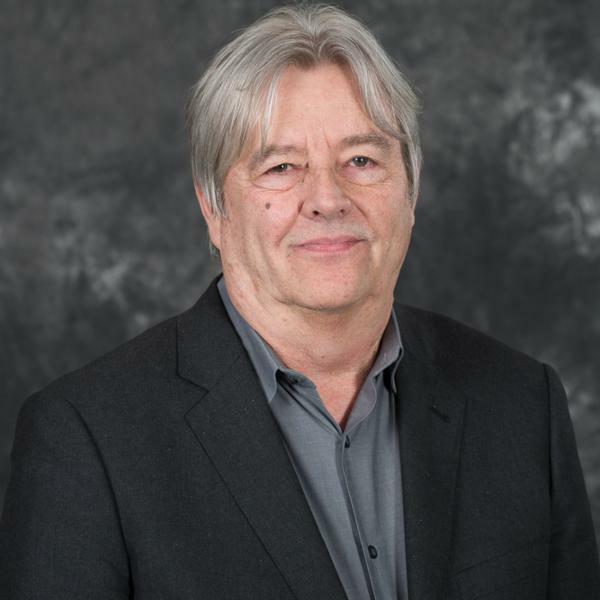 He has been a co-principal investigator for a number of large-scale assessment research projects funded by the U.S. Department of Education and the National Science Foundation and has collaborated on Department of Defence training studies. As a researcher and professor at UCLA and the University of Missouri, respectively, he has also managed assessment research and development studies in school districts across the U.S. and has trained thousands of teachers and other professionals to design and use assessments more effectively.David's new book is:Learning Analytics in Education: Experts Explain How To Use Data To Understand and Increase Learner SuccessNew technologies, better measures and more data, all related to learning, hold the promise of helping educators increase their students’ success. The relatively new field of learning analytics has developed to help educators understand and use the increasing amounts of evidence from learners’ experiences. How can educators harness access to greater data to improve learning on a large scale?Learning Analytics in Education is a new book written by a broad range of experts who explain their methods, describe examples, and point out new underpinnings for the field. The collected essays show how learning analytics can improve the chances of success for all learners through deeper understanding of the academic, social-emotional, motivational, identity and meta-cognitive context each learner uniquely brings.The collection was edited by four noted educational experts including David Niemi, vice president of measurement and evaluation at Kaplan, Inc., the global educational services company well-known for using advanced learning science and learning engineering methods in its programs and products. "At Kaplan, we've been invested in using learning science and data analytics for several years to help us design courses and refine instructional methods to help students achieve better outcomes," explains Niemi. "Educators today face accelerating change as education undergoes a fundamental transformation driven by the replacement of traditional analog tools by digital systems and expansive data inputs." He adds, "Understanding how to use these new streams of available data to best guide student learning is the essential point of the book. "Now you can support Data Futurology on Patreon! https://www.patreon.com/datafuturologyThank you to our sponsors:UNSW Master of Data Science Online: studyonline.unsw.edu.auDatasource Services: http://www.datasourceservices.com.au/ or email Will Howard on will@datasourceservices.com.auAnd as always, we appreciate your Reviews, Follows, Likes, Shares and Ratings. Thank you so much for listening. Enjoy the show! Kjersten Moody joined State Farm in July 2017 as Vice President and Chief Data & Analytics Officer in Bloomington, Illinois. Previously, Kjersten led Data & Analytics and IT groups at global companies, such as FICO (Braun), Thomson Reuters and Unilever. She has a record of delivering tangible, positive business results, and a depth of experience in scaling operations, planning/executing mission-critical business initiatives, and achieving profitability objectives. 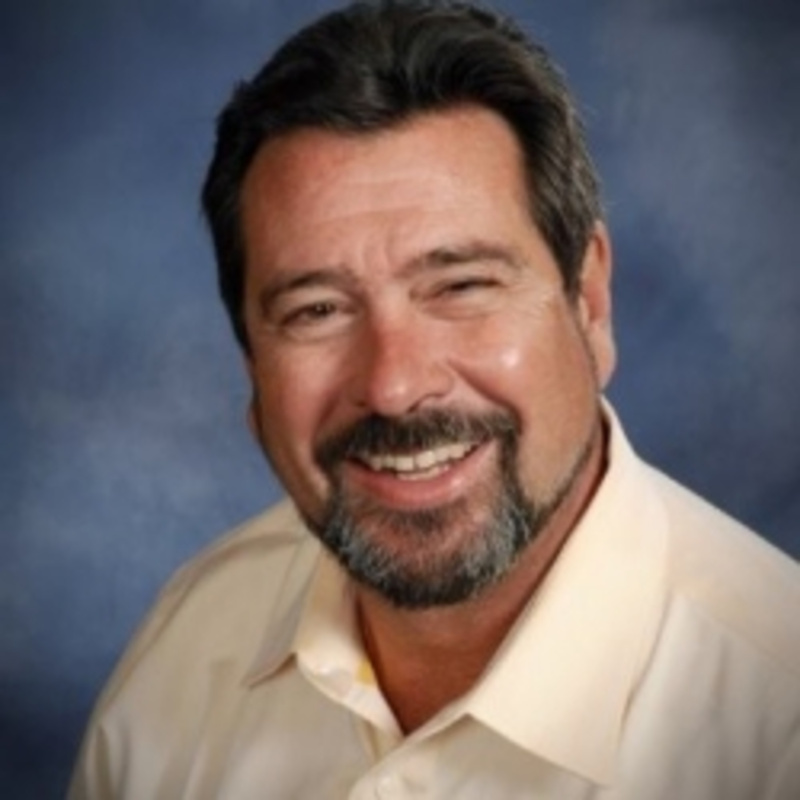 Kjersten is a graduate of the University of Chicago and has a proven track record in modernizing and scaling operations, executing mission-critical business initiatives, and achieving profitability objectives. 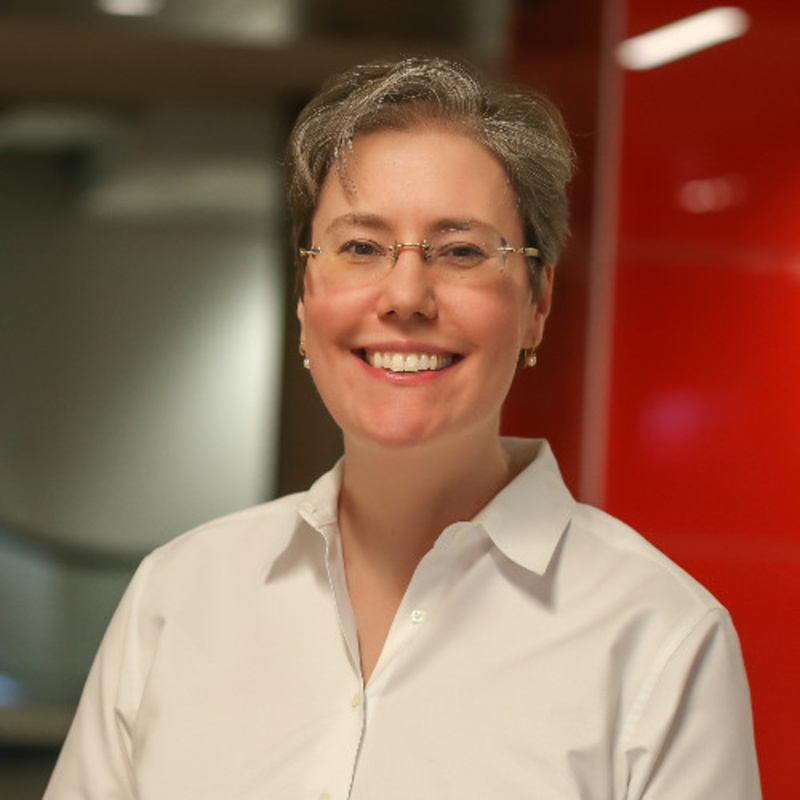 An energetic leader with a focus on people development, diversity, and inclusion Kjersten demonstrates the ability to effectively lead and work in highly complex environments.In this episode, Kjersten talks about her love for data and how it compliments an understanding of human behavior. She is incredibly grateful for the chances others took on her to get her in the role she is today. Understanding how to thrive in stressful situations is one of the essential lessons Kjersten learned in her early roles. Her leadership style is open, honest, and collaborative while always ensuring to take time out of her day to serve others. In the healthcare industry, Kjersten gets to see her work through and enjoys the process of continuous improvement. Building teams have not changed much, some methods of work differ and where the work is performed. For example, information security has grown significantly to evolve with the ever-changing advancements in technology. Later, Kjersten explains how she builds a team, what diversity means, data strategy, data governance, and financial impacts. In This Episode:• [00:20] About Kjersten Moody• [04:45] Love for data• [06:40] Transition to technology consulting• [09:50] Lessons learned early on• [13:15] Leadership took the time• [14:40] Kjersten’s leadership style• [15:35] Transition to healthcare• [18:00] Lessons learned in consulting• [20:00] Building teams• [22:15] Qualifications for individuals• [29:10] Data strategy • [33:00] Data governance• [38:00] Understanding the business aspects • [45:20] Financial impacts• [48:20] Listener questions Some of Kjersten's quotes from the episode:“Challenges are a constant in a domain such as data science.”“Diversity is an attribute of the team. It’s the diversity of experiences, culture, and thought.”“The process of matching price to risk is inherently done through data.”“Data strategy is interpreted in many different ways.” “The leader needs to be able to work in a trusted way with business leaders and general managers.” Now you can support Data Futurology on Patreon! https://www.patreon.com/datafuturologyThank you to our sponsors:JCU Master of Data Science - Online ProgramFyrebox - Make Your Own QuizAnd as always, we appreciate your Reviews, Follows, Likes, Shares and Ratings. Thank you so much for listening. Enjoy the show! In this episode I talk to Matt Kuperholz. 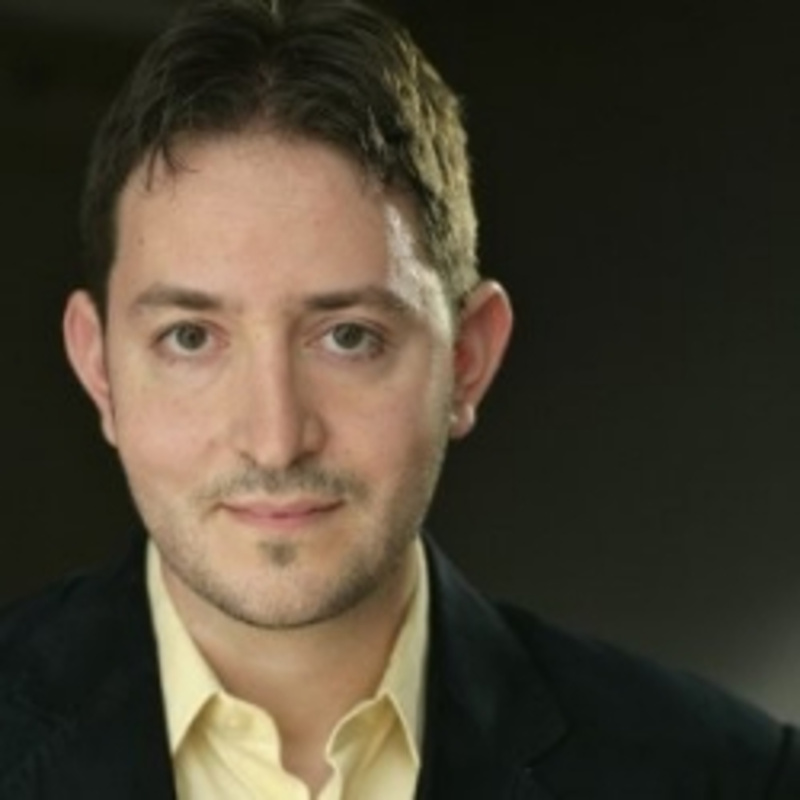 Matt currently works for PWC as a Partner in their Analytic Intelligence Area and is their Chief Data scientist. As a kid, Matt was fascinated by computers and while training to be an actuary started developing his computer science skills. This led to working as a data scientist and consulting with top tier companies.In this episode Matt and I talk about his career journey, why it’s important to focus on the real world and not just the data and how data science can be integrated into businesses. We discuss the concept of responsible AI and why the exponential growth of technology is making for an interesting world.With a background in both actuary and computer science, Matt has been working with data for over 20 years. He ran his own company in the early 2000s which included working with Deloitte Australia as they started to look at how to use data science in their business. He is now a is a partner and chief data scientist at PWC Australia. An expert in planning, executing and communicating the results of advanced analytics projects, Matt’s area of specialisation is the application of artificial intelligence and machine learning technologies to detailed and complex data.Summary· Matt’s love for computers and he he got to where he is now (00:12)· How Matt’s interest in computers led to a love for data (06:28)· Matt’s interest in martial arts and why a diversity of people matters (08:19)· Smell-testing the quality of a number, and the importance of attention to detail (09:40)· Working with limited time on a mainframe and how Matt coped with limited resources (12:09)· The early days of using AI and what it was like working in a start-up in the late 90s (15:04)· The importance of well prepared data (16:56)· How Matt keeps up to date with data and technology (21:17)· How Matt chooses what problems to tackle (23:26)· What it was like working with Deloitte (26:03)· How data can integrate into other areas of a business (28:32)· Starting with the real world problem before focusing on the data (30:26)· A recent project Matt has worked on exploring what trust looks like in a digital world (35:11)· The idea of responsible AI and how we develop checks and regulation (41:41)· How technologies are growing exponentially and causing a fast changing world (49:45)· How Matt follows his curiosity and how this has led to opportunities (52:05)· Why the data industry is worth getting into (54:48)· The importance of finding what you are into and staying true to yourself (55:53)Connect:Twitter - https://twitter.com/datafuturologyInstagram - https://www.instagram.com/datafuturology/Facebook - https://www.facebook.com/datafuturologyNow you can support Data Futurology on Patreon! https://www.patreon.com/datafuturologyThank you to our sponsors:JCU Master of Data Science - Online ProgramFyrebox - Make Your Own QuizAnd as always, we appreciate your Reviews, Follows, Likes, Shares and Ratings. Thank you so much for listening. Enjoy the show! In this episode, I talk about data scientists and ways you can attract the best talent to your team. Instead of telling your employees what they can do better, make them curious as to what they could do better. Then, I reveal the three things to look for when analyzing your pool of applicants. Once you have your team, now what? Once you have a decent pay settled, I explain the three things you will need to have for a capable team. Later, I tell you the elements, as a manager, you should be doing as rarely as possible.In This Episode:• [02:45] How to attract data scientists to your team?• [04:45] The three things to look for from your pool of applicants• [07:05] Adversity; test how they would react • [11:00] Three things needed to run an effective team• [18:00] Managers should be doing this as rarely as possibleCreating a Data Team Session Quotes:1. “Create a learning environment and continually challenging projects to focus on their development.”2. “People should be open-minded and willing to learn; I test this in two different ways.”3. “A lot of people come with technical skills from other countries.”4. “They had to code it live with about eight people watching them, no pressure!”5. “You know the answer, and you want to tell them to get to the outcome quickly. That’s an urge you have to roll back and fight against.” 6. “Purpose is really what gets us out of bed every day.”7. “Make yourself redundant as quickly as possible.”Resources Mentioned: Drive: The Surprising Truth About What Motivates UsConnect:Twitter - https://twitter.com/datafuturologyInstagram - https://www.instagram.com/datafuturology/Facebook - https://www.facebook.com/datafuturologySupport Data Futurology on Patreon! https://www.patreon.com/datafuturologyThank you to our sponsors:JCU Master of Data Science - Online ProgramFyrebox - Make Your Own Quiz And as always, we appreciate your Reviews, Follows, Likes, Shares and Ratings. It really helps new data scientists find us. Thank you so much, and enjoy the show!